Born in Valencia ( Spain ) in 1960. He studied Composition and Piano at the Conservatoire of his native city, where also studied Orchestral Conducting with Manuel Galduf, achieving the highest qualifications and obtaining the Honour Prize in Counterpoint and Fugue, in Composition, and Mention of Honour in Orchestral Conducting. He is professor of Composition and Instrumentation at the Conservatorio Superior de Música Joaquín Rodrigo in Valencia. Elected Member of the Royal Academy of Fine Arts of Saint Charles , reads his inaugural lecture in 2010. In 2011, The IX International Classical Contemporary Music Festival of Lima (Perú) paid homage to him and he was awarded the Antara Prize for his "brilliant artistic career". In 2015 is appointed Artistic Director of the International Contemporary Music Festival ENSEMS of Valencia. He was Principal Conductor of Grup Contemporani beetwen 1987 a 1990. He won the Valencia Chamber Music Prize twice, in 1984 and 1986, and the second prize in the Manuel Palau National Conducting Competition in 1985. In 1990 won the First Prize in the III Internacional Composition Competition of JONDE with his work PRÁCTICAS DE PASIÓN. He was awarded the First Prize in several International Choral Composition Competitions, standing out among them the Juan Bautista Comes Internacional Prize in 1997, the FECOCOVA Prize in three occasions and the Fernando Remacha Scholarship of the International Choral Composition Competition Coral de Cámara de Pamplona in 2006. He has had commissions by the Spanish National Orchestra (PIANO CONCERTO), the “Art and Technology” Foundation of Telefónica (GRIS), the Generalitat Valenciana (CLINAMEN and the CLARINET CONCERTO), the Center for Contemporary Music Diffussion (TRIBAL and LIRAS Y ENDECHA), the Castellón Philharmonic Society (CONCIERTO PARA ORQUESTA), del Centro Nacional de Difusión Musical (LUNAS DE KLEE), del I.N.A.E.M. (GLASPERLENSPIEL I), etc. In 1988 the Council of Valencia commissioned him the composition of a TE DEUM to celebrate the 750th anniversary of the Conquest of the City in the Cathedral, with the attendance of the King and the Queen of Spain. This work was recorded in CD and was awarded later the 2nd Prize in the III International Symphonic Choral Composition Competition of JONDE in 1991. 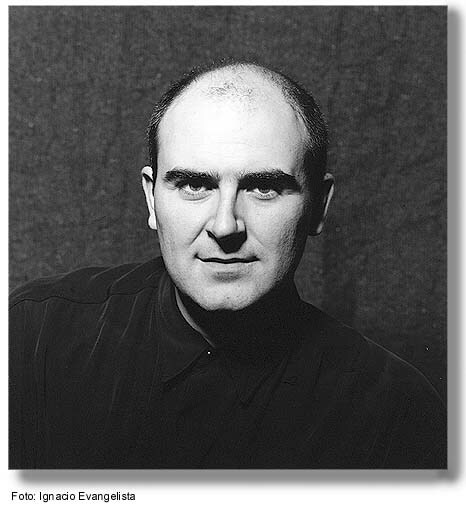 He was appointed Composer in residence of the Joven Orquesta de la Generalitat Valenciana during 2001 and 2002, composing by commission from this orchestra and his conductor Manuel Galduf the works VESTIGIOS, for chamber orchestra and electroacustic music, and SOBRE LOS ÁNGELES, for symphonic orchestra, both recorded in a monographic CD. By the end of 2007, the Palau de les Arts Reina Sofía asked him to compose a PRELUDIO FESTIVO in order to inaugurate its Auditorium. It was premiered that same year by Lorin Maazel conducting the Orquesta de la Comunidad Valenciana. In February 2008 was played again his TE DEUM in the Cathedral of Valencia, this time for the celebration of the King James I 800th birth anniversary. The event was officiated by Cardinal García Gascó, in the presence of the President of the Generalitat Valenciana and the Mayor of the city, and was broadcasted live by TV. In February the 10th, 2012, in the Auditorio of Castellón, Zubin Metha, conducting the Orquesta de la Comunidad Valenciana premiered with great success his CONCERTO for ORCHESTRA Op. 73, concert repeated the next day in the Palau de les Arts Reina Sofía de Valencia. His varied catalogue of works has more than 80 compositions which have been performed in Spain , England , U.S.A. , Germany , France , Switzerland , Italy , Mexico , Russia , Holland , Uruguay , Portugal , Lebanon , Perú, etc. His discography includes up to now more than 27 CDs, offering several of his most representative works. As a Musical Producer, he has released 9 CDs, eight of them containig orquestal music and vocal-symphonic music with the EGT label. He has composed and conducted scene music to request of the Centro Dramático Valenciano y del Thèâtre de la Commune de París . From 1993 to 1995 he was living in London working as a freelance composer. Since 1989 he has made several seminaries, lectures and reports about composition and contemporary music in Spain and abroad.